Starting a garden at your school is a win-win for students and teachers, because it’s both fun and educational. Even schools without a lot of open space can start a garden, or create an indoor windowsill garden. This lesson will explore an outdoor garden but keep in mind that you can customize it to the amount of space and supplies you have at your school. 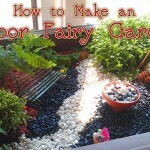 Many of these ideas can be applied to a home or community garden space as well. 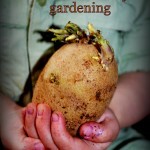 Gardening provides extra opportunities for fresh air, sunshine, and exercise during school. 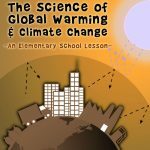 You can learn the science behind how things grow and what grows well in your climate. It’s a great way to learn first-hand about how fresh foods are grown from start to finish. Fresh produce is nutritious and tastes great! There’s something extra special about enjoying food that you grew yourself rather than buying at a grocery store or restaurant. A school garden teaches about community-building and teamwork. There are plenty of chances to learn how to cooperate and coordinate to develop a project from start to finish – building, planting, weeding, harvesting, and distributing what you grow. 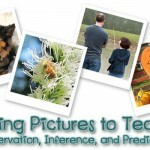 Gardening is the ultimate hands-on learning project and science experiment. You can also learn other subjects like math and literacy through gardening – calculating the size of a garden, estimating how much you will grow, and writing about your experiences. An important element of learning is understanding when things go wrong, which teaches you how to keep trying even when you fail or things don’t work out. There are no guarantees with gardening, so it’s a chance to study what goes well and what doesn’t go well, and why, while also developing patience, persistence and perseverance. Just like people and animals, plants need water and food in order to grow. Because plants use sunlight to create their own food–a process called photosynthesis–they also need enough sunlight to be able to thrive. Plants also have roots at their base which both absorb and store water and nutrients found in the soil. The middle portion of a plant, the stem, acts as both the “body” of the plant, providing support, and it also helps move water and nutrients between the roots and the leaves. Good quality soil that allows water and air to flow at the roots allows plants to grow is essential. The top layer of soil on the ground, called topsoil, is ideal for gardening. Finally, time is an essential element to plant life. Gardening takes patience but the wait is worth it. Get permission from the principal and other staff responsible for maintaining school property. 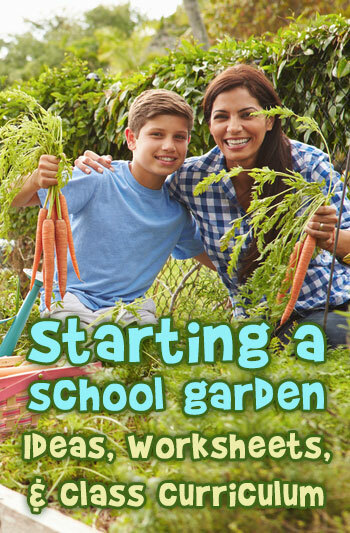 Find mentors for a school garden club if your teacher or teachers aren’t already leading this project as part of their curriculum. Another possible resource is your local university extension office that might have a Master Gardener program. Select a site for the garden in a location that gets more than six hours of sunlight each day during the growing season (spring through fall) and the ability to regularly water the garden. A south-facing, flat area with good drainage is best. Decide whether to dig a garden directly in the ground or to build a raised bed garden by building a border and adding fresh topsoil into the container. Take soil samples to be tested for food safety before digging a garden in a chosen spot. In areas where the soil isn’t ideal for growing or where there are contaminants in the soil, a raised bed or container garden is a better choice. Have students work together to decide what to plant. Herbs, leafy greens, radishes, and other vegetables and fruits with a shorter growing season are good choices. 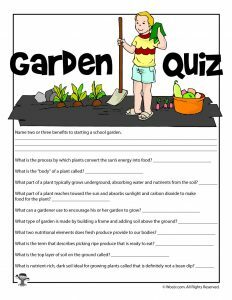 Students can also learn about US Department of Agriculture (USDA) plant hardiness zones, a map with numbered “zones” that tells gardeners which fruits and vegetables grow well in a given region. Determine what supplies will you need for digging, planting, weeding, and watering? Develop a list and brainstorm ways of how to get those supplies, through borrowing or donations. Determine who will tend to the garden by weeding and watering it during class time if this is a school project or at lunch and after school times if it’s an extracurricular garden. Create a schedule and list of duties to make sure the garden is cared for properly. Decide what to do with your harvest: Will you donate it to the school cafeteria, share some among the class, and/or donate some to a local food bank? This is a great opportunity to learn about cooperative strategy and also different ways of giving back to our community, and what that experience feels like in terms of pride and generosity. 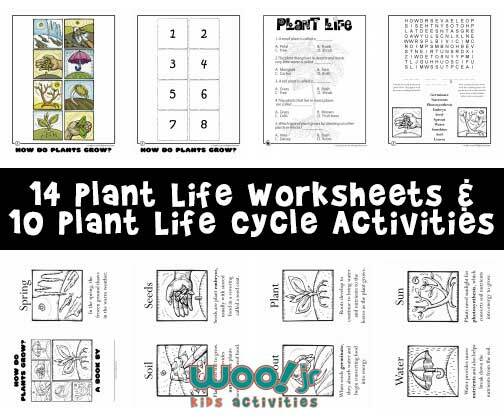 We have a whole second page with plant life worksheets to teach how plants grow! 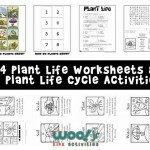 If your class is creating a school garden, this lesson can be completed by monitoring plants growing in the garden. Teachers can also plant sunflower seeds in individual small peat pots and regularly observe the progress of seed to seedling growth. Air – Does the plant have soil that is neither too loose or packed too tightly, allowing its roots to absorb water and nutrients? Time – How long does it take for a seed to sprout? Take note and track the plant’s progress, and once a seedling sprouts, measure its size every day or so. Discuss how all of these elements combine to grow a plant from a seed. Review the concept of photosynthesis – converting sunlight into food – and how sunlight and the proper conditions are responsible for many of the foods we eat. 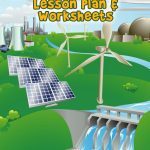 In this lesson, students will learn to calculate physical measurements for a basic garden plot and also develop a budget and production estimate for a school garden. This can be done using an existing school garden, one students start themselves, or a fictional school garden imagined in the classroom. Have students calculate the square footage of a proposed garden. 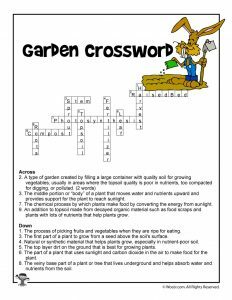 Have students read the instructions for each type of plant for the garden, how far apart to grow them, and how much available space for the garden. More gardening resources: my friend Natasha Nicholes runs a community garden in Chicago that was featured on the Harry Connick Jr. Show! Visit her blog for more gardening tips, or join her We Sow We Grow Facebook group for community support and great gardening advice.